Clostridium is a Gram positive bacillus, obligate anaerobe, capable of producing endospores. Clostridium species principally live in the soil and intestinal tract of many animals including humans. 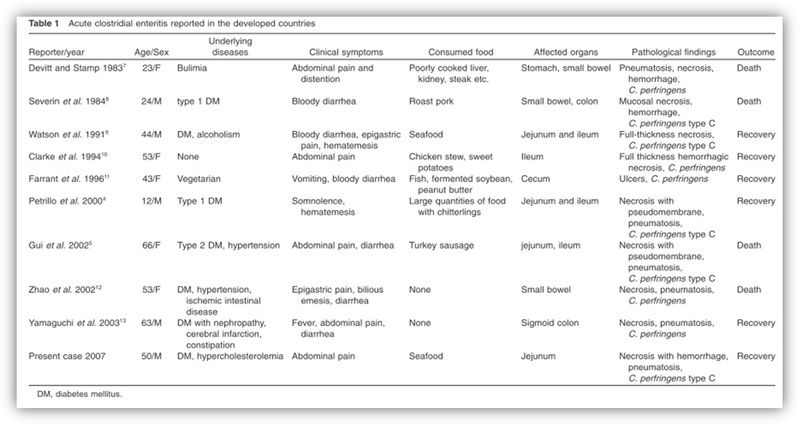 foodborne illness in the world (nearly a million cases of foodborne diseases each years ). Many bacteria, including C.perfringens have the ability to sense certain environmental stress and undergo a series of morphological changes to produce endospores that are highly stress resistant. When conditions become disadvantageous, the most drastic response to signals that indicate their immediate environment has deteriorated to a point where survival of vegetative cells is threatened is the production of an endospore. As sporulation has a heavy energetic penalty, the initiation of the process kept under stringent control by an expanded two component signal transduction system called a phosphorelay (Fig.2). The phosphorelay integrates multiple stimuli to ensure that cell sporulates only when all other survival strategies have been exhausted. Environmental signals that trigger sporulation in Clostridium are not well understood. It was found that inorganic phosphate (Pi) is required for initiation of sporulation. In culture (DS medium) little or no sporulation was observed; instead maximum sporulation efficiency was observed in the presence of 30-40 mM Pi. It has been suggested that, since an average of 15 to 30 mM concentration of Pi is normally present in a human intestinal lumen, C.perfringens might have evolved to sense mM concentration as a signal for sporulation. Since CPE is not actively secreted but instead is released when the mother cell lyses at the completion of sporulation, so much intracellular CPE accumulates during sporulation that CPE containing paracrystalline inclusion bodies form in the cytoplasm of many sporulating C.perfringens cells. Sporulation and CPE production are inextricably linked and several studies have demonstrated that CPE production is highly regulated by sporulation: sporulation genes (spo) encode sporulation specific sigma factors that are the major regulators of the sporulation process. The C.perfringens cpe gene encoding CPE is transcribed from three promoters (P1,P2 and P3) sigma factor dependent . CPE consists of one peptide of 309 a.as with a molecular weight of 34262 Da. The activity of the enterotoxin is enhanced threefold by the treatment with trypsin. Trypsin cleaves at two sites: the trypsinized toxin then consist of 284 aas and two short peptides of 10 and 15 aas. The enterotoxin is most active in the ileum. The diarrhea observed in humans infected with CPE-producing C.perfringens could result (at least partially) from impairment of small-intestine water absorption, which leads to a decreased intestinal absorptive capacity and increased stool mass. Gangrene of small intestine, without obvious vascular or mechanical cause, is an extremely rare disease. 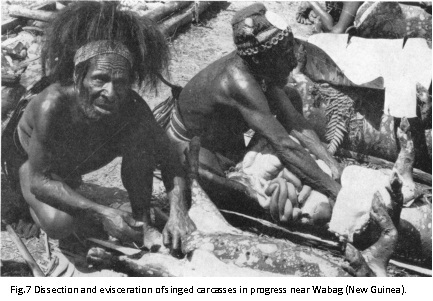 C.perfingens may produce a severe necrotizing diseases of the small bowel known as “enteritis necroticans”, which can occur sporadically (only a few cases have been identified in developed countries) or in an epidemic form (epidemy in Goroka, New Guinea, early in 1961). Enteritis necroticans is a life-threatening infectious diseases caused by C.perfringens type C , that releases a β-toxin (CPB). CPB correspond to a protein which is secreted in late log growth phase, is thermo-labile, and highly-sensitive to proteases ( trypsin ). The resultant membrane permeability changes results in cell death. In normal individuals the toxin is rapidly inactivated by trypsin in the small intestine. Clearly in times of starvation, trypsin levels are low and the levels of active β-toxin in the gut are therefore much higher. 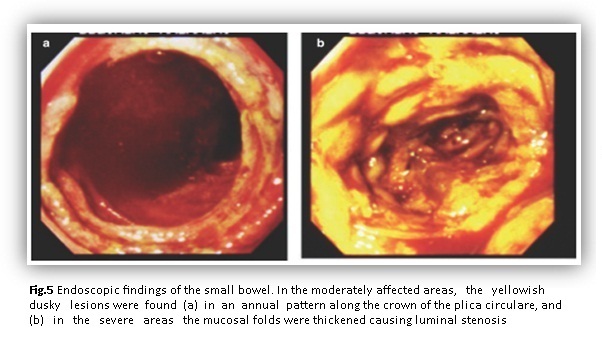 The disease which is characterized by segmental necrosis of the proximal jejunum, is associated with high mortality rate if not diagnosed early and treated with antibiotics (Fig.5,6). The ecology and epidemiology of the pig-bel syndrome in man in New Guinea"
Poor cooking hygiene, especially of meat, predispose to the proliferation C.perfringens type C that is normally present in pig intestine , and is also excreted in pig feces, thus poorly cooked pork was touted to be the main cause of pigbel in Papua New Guinea. Toxin production probably leads to focal paralysis, inflammation, hemorrhage and segmental gangrenous necrosis of the intestine, particularly the jejunum. Ascoris Lumbricoides infection of the gut than the general population: a potent trypsin inhibitor, secreted by the parasite to prevent is own digestion, prevents degradation of CPB. Findings indicate a striking benefit from immunisation against pigbel in Papua New Guinea, and the program has been popular in the community because of the dread in which pigbel is held. Pigbel vaccine is relatively inexpensive, and enteritis necroticans occurs in parts of Sri Lanka, Thailand, and Vietnam, as well as in other countries: immunisation may help to prevent suffering and reduce mortality in other areas of high focal incidence. ( chitterlings ). 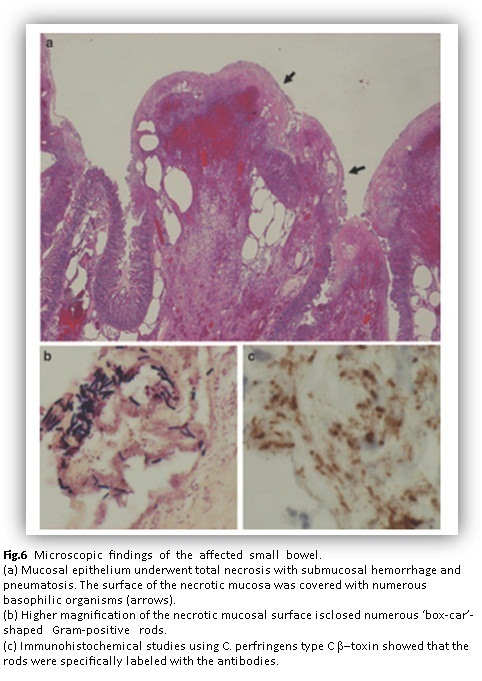 Histologic examinations of resected bowel tissue showed extensive mucosal necrosis, findings consistent with a diagnosis of enteritis necroticans. Probably the consumption of chitterlings by diabetic patients and other cronically ill persons can results in potentially life-threatening infectious complications. Diabetic patients are vulnerable to this infection, and this disease may have been underdiagnosed in developed countries, especially when the disease is mild and self limiting. This mild and self-resolving cases may present several years later as the “scarred forms” often described as cryptogenetic multifocal ulcerous stenosing enteritis, diaphragm disease of the small intestine unrelated to non steroidal anti–inflammatory drugs, because these conditions also produce multiple segmental lesions similar to clostridial enteritis. Philippe VA, Méndez MB, Huang IH, Orsaria LM, Sarker MR, Grau RR. Facultad de Ciencias Bioquímicas y Farmacéuticas, Departamento de Microbiología, Suipacha 531, Rosario 2000, Argentina. Clostridium perfringens enterotoxin (CPE) is an important virulence factor for food poisoning and non-food borne gastrointestinal (GI) diseases. Although CPE production is strongly regulated by sporulation, the nature of the signal(s) triggering sporulation remains unknown. Here, we demonstrated that inorganic phosphate (Pi), and not pH, constitutes an environmental signal inducing sporulation and CPE synthesis. In the absence of Pi-supplementation, C. perfringens displayed a spo0A phenotype, i.e., absence of polar septation and DNA partitioning in cells that reached the stationary phase of growth. These results received support from our Northern blot analyses which demonstrated that Pi was able to counteract the inhibitory effect of glucose at the onset of sporulation and induced spo0A expression, indicating that Pi acts as a key signal triggering spore morphogenesis. In addition to being the first study reporting the nature of a physiological signal triggering sporulation in clostridia, these findings have relevance for the development of antisporulation drugs to prevent or treat CPE-mediated GI diseases in humans. In sum, this study identified NaP as a novel nutrient germinant for spores of most FP isolates and provided evidence that proteins encoded by the gerKA-KC operon, gerAA, and gerO are required for NaP-induced spore germination.